>> READ: DAY 2 | DAY 3 << 16TH - 18TH APRIL, 2017. This was a spontaneous trip. 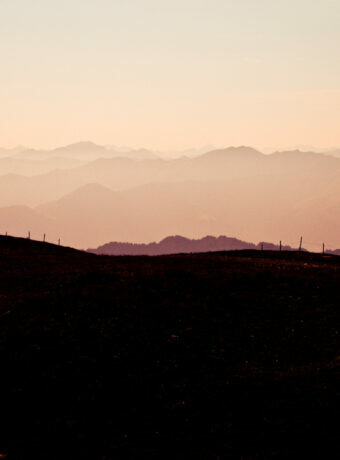 On the week of Easter, Herr Hallo came home and asked me if I would like to go to Ticino, the South of Switzerland, the part of Switzerland with an Italian flair, the part of Switzerland with good weather. Of course, I said YES! I’ve always wanted to visit the South because I’ve heard and read so many great impressions. 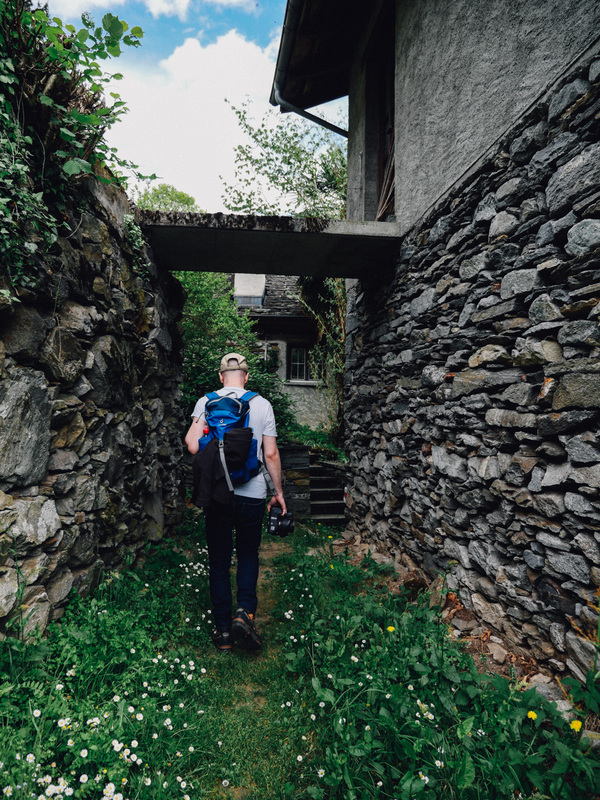 What’s better opportunity than to take up the offer to stay in Valle Maggia at a friend’s traditional stone hut for the weekend, right? So off we go to Valle Maggia on Sunday thinking that the train will be less crowded as everybody would have traveled on Thursday/Friday for the Easter break. We were wrong! The train were full. 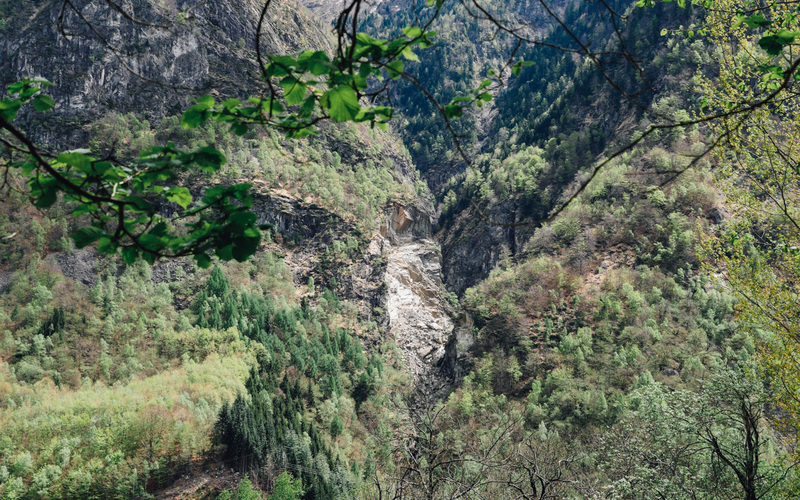 After 2 buses, 2 trains, a car ride and 4.5 hours later, we reached Valle Maggia’s Broglio. The location of the hut is a paradise. 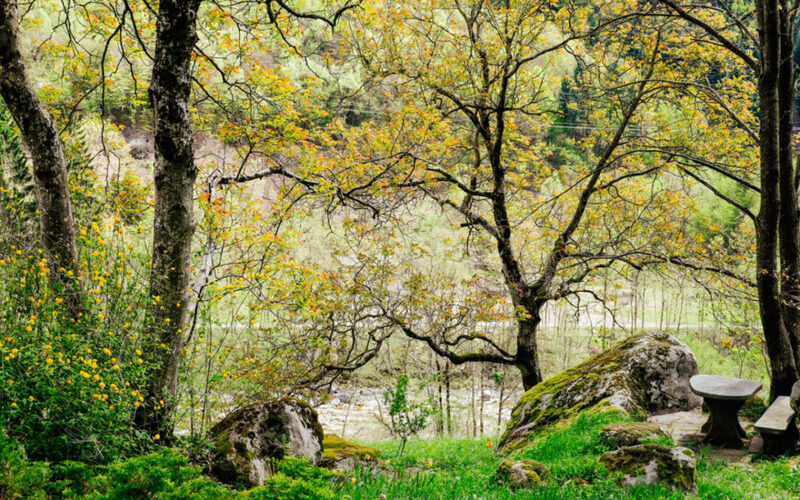 It sits very close to River Maggia, surrounded by calming green lush different trees and heavenly natural lights. It is a true vacation home, with a capital V! 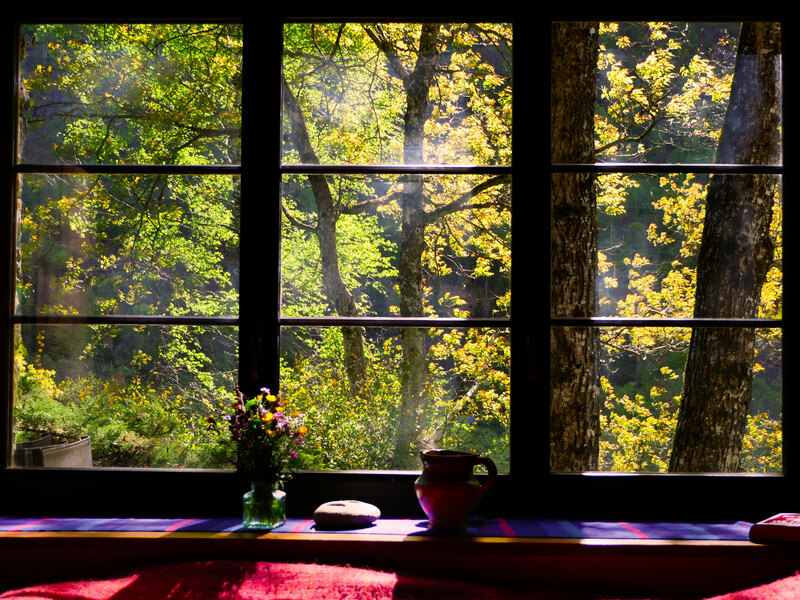 A home to get away from all the hustle and bustle of the city. The hut lie literally in the center on nature. 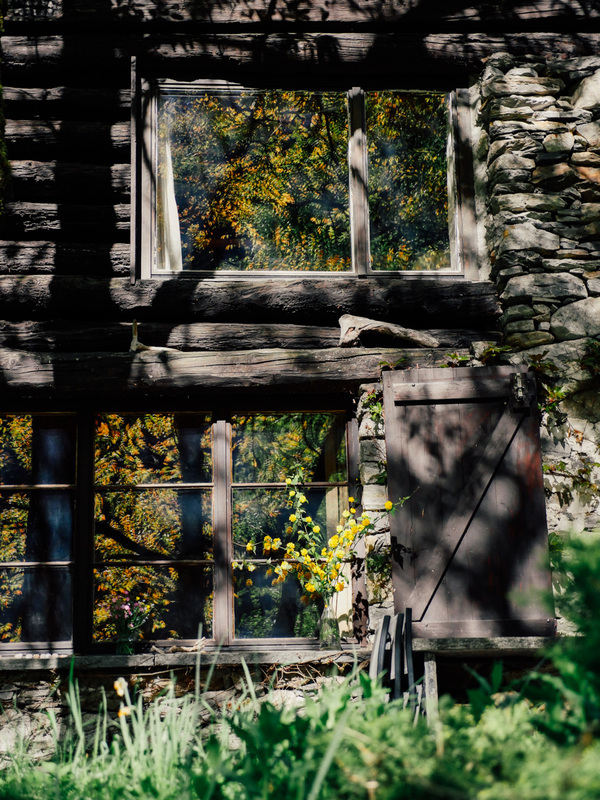 It is perfect getaway to go trekking, read a book, sit by the fireplace or the garden and enjoy the sound of nature. Our hut looks beautiful as we saw it today because a lot of work and love were poured into making it wonderful. The trees we saw in the garden were planted some 20 years ago. The constant work throughout the years were frutiful. It’s quite the same with life, isn’t it? Sometimes we have to constantly work on something and could only enjoy the fruits after some time/years. 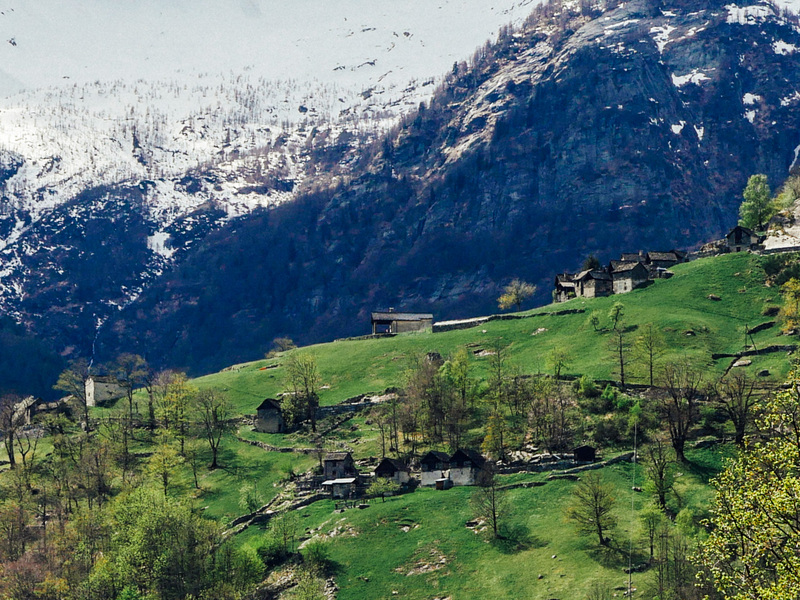 The landscape, the culture and the diversity of South Switzerland is so symbolic. It is as if being in another country but of Swiss efficiency and competency. 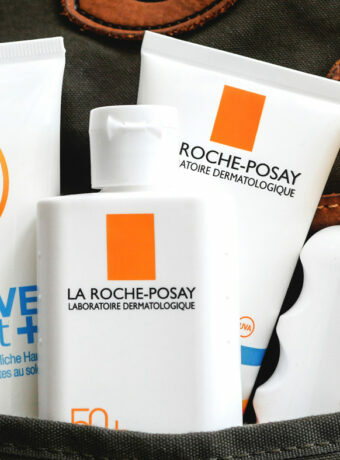 I truly understand after the trip why Swiss travel to the South during a long break. It is quite similar to traveling to Thailand for a short break when I was living in Malaysia. The atmosphere is so different but compelling. Our Strava activity log can be view here. Broglio - Menzonio - Broglio Rundweg. Map from https://map.geo.admin.ch. Can’t take my eyes off the reflection on the windows. As soon as we arrived, our lovely host showed us around the hut and served us drinks and Z’Brunch <-- my made up word for Brunch. In Swiss German, Z'Morge means Breakfast, Z'Mittag means lunch and Z'Nacht is dinner. She gave us three hiking option; short, middle and long hike. We decided to take the middle (length) hike because it was around noon and we didn't want to be too tired on the first day. Off we go for our first hike in Valle Maggia! 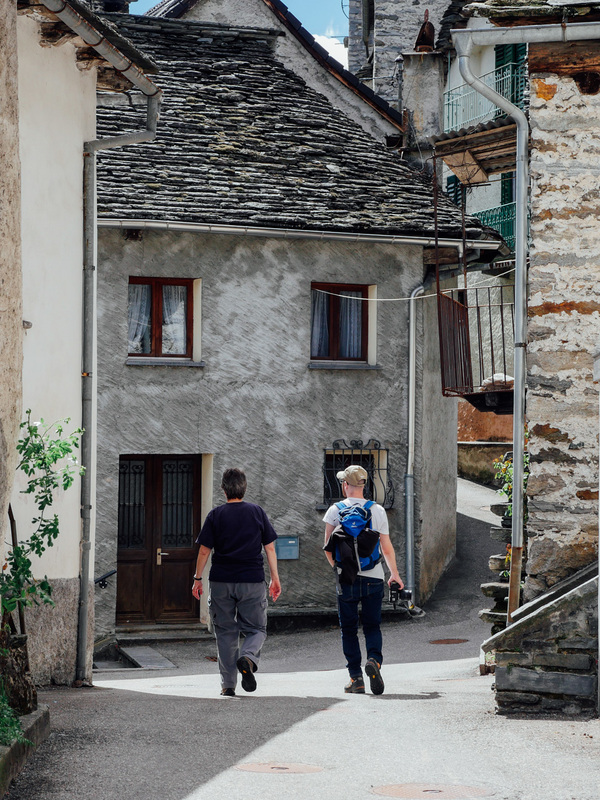 We started our hike in the little idyllic village called Broglio. Broglio was first mentioned in 14th century and have only 88 occupants in Year 2000. Broglio is a good starting point for the hike. On the first day, we hike from Broglio to Menzonio and back along the river. In German term – rundweg (loop/round trail). The start of the trail was mainly in the woods. The trees were unique and pleasant to my eyes. 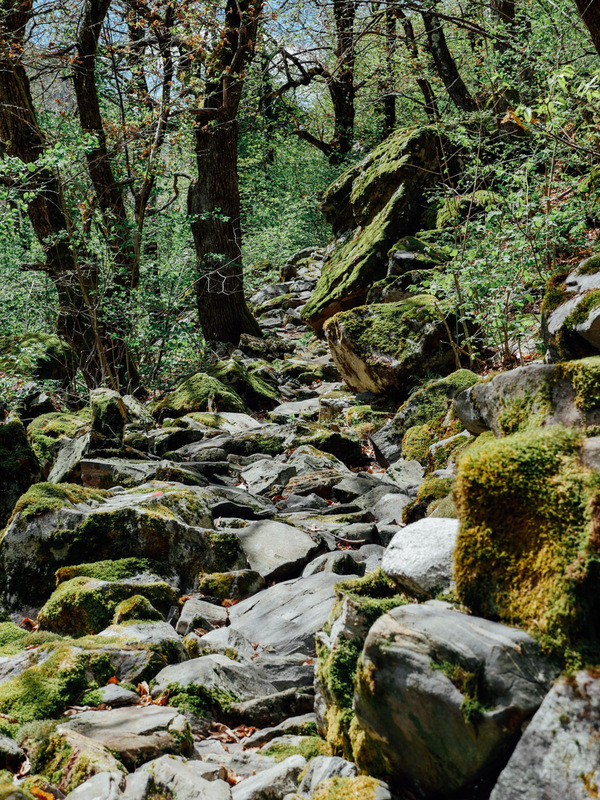 Along the trail, stones were covered in moss. We were in fairy tale land. 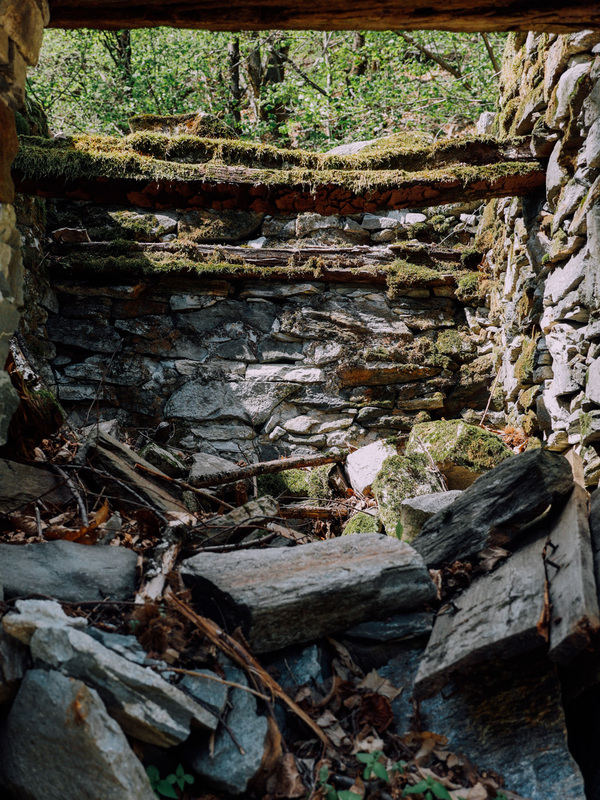 In an unexpected location along the trail, an altar could be seen because the communities along the valley have strong Catholic influence as well as stone huts. Some are occupied but some are not. Usually not far from these huts lies a grotto. A grotto is an man made cave for food storage. It is like a refrigerator or pantry in modern days. Grotto also serves as an assembly place for the surrounding inhabitants. We called it restaurant in this modern world. 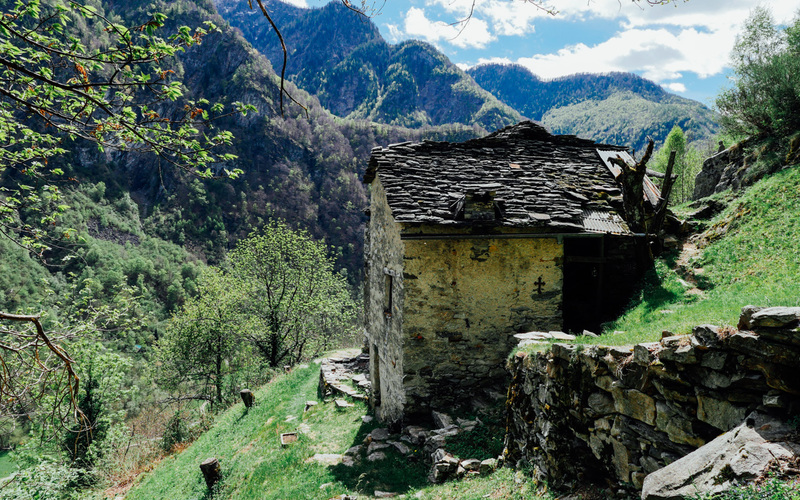 Ancient village in Valle Maggia. 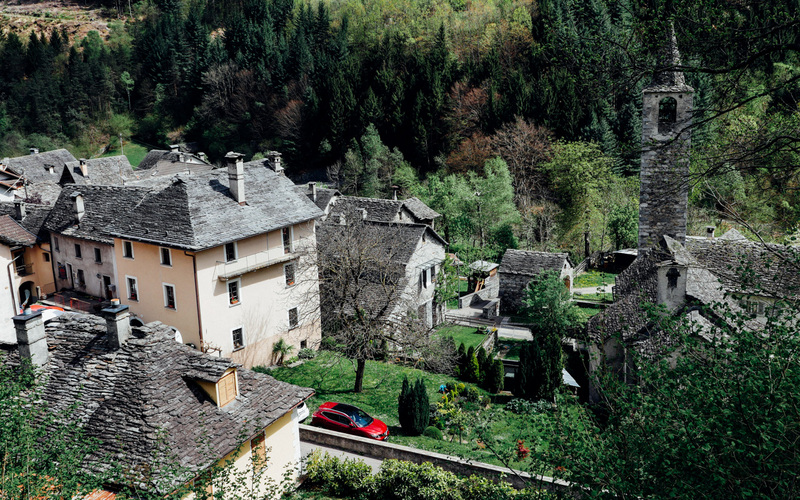 Upon exiting the woods, we started to make descent through a medieval village called Menzonio. 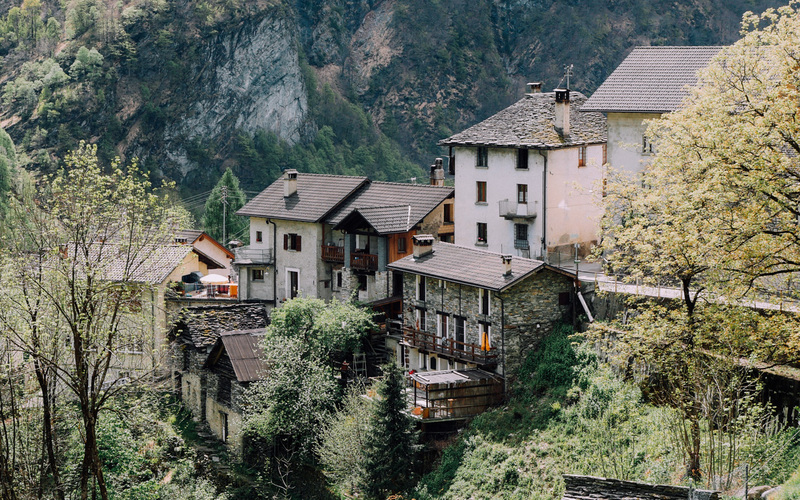 The houses in the village are also made of stone and looks bigger than Broglio. The villagers were going about their daily lives. Many were enjoying the sun and having drinks on the balcony. Some were sunbathing in their garden. Even though they were busy with their routines, they never failed to greet us “Bounjourno!”when we passed them. Such hospitality! In Menzonio, we walked through little pathway in between stone houses which reminds me of Sion, a lovely city in West Switzerland. 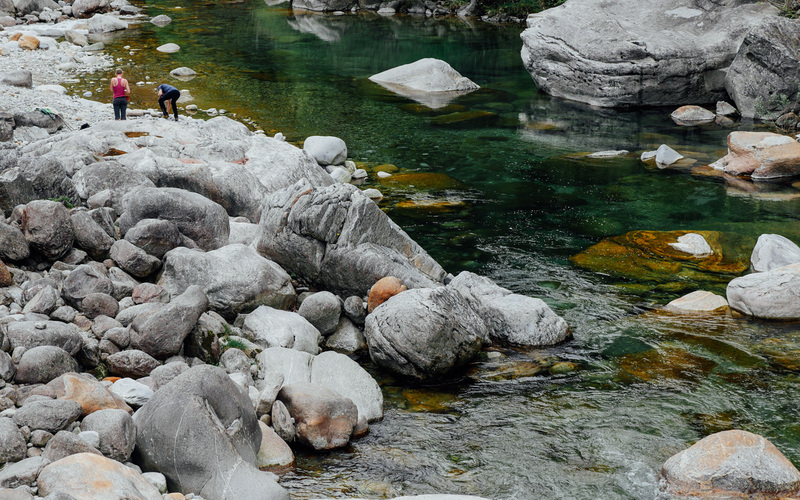 From Menzonio, we crossed River Maggia. The water level was low and the temperature was cold. We walked along the river, through Broglio and back to our lovely hut. We started our journey at 12:55 and returned to the hut at 15:50. At the hut, our generous host served us Apéro and snacks. Soon after, we went in the hut and Herr Hallo made fire in the fireplace. Herr Hallo loves to make fire. He is my Fire God. Sitting by the fireplace was my first time. It was so relaxing and warmth and I could not take my eyes off of the fire. So intriguing to watch the fire “dances”. That evening, our host cooked us Saltimbocca on the fireplace. 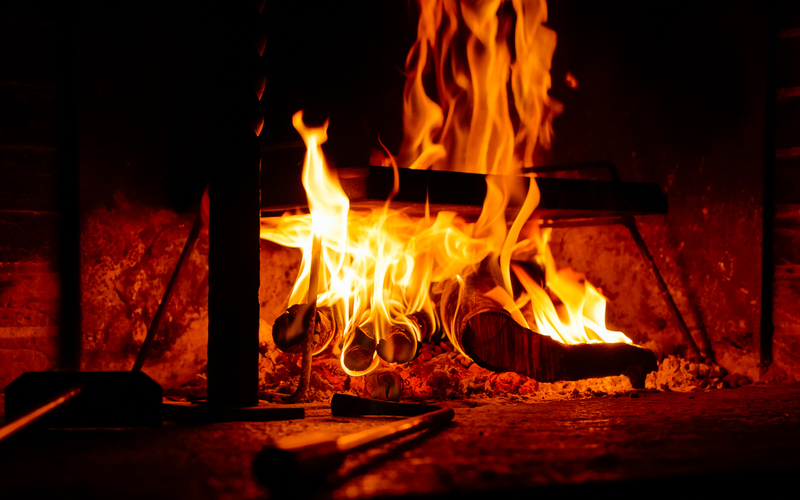 Not only we cook at the fireplace, we heated up our plates and cups by the fireplace as well. This back-to-basic experience really gave me insight and a different view of being energy friendly. That evening we went to bed with a different perspective and a smile on our face. Note: We usually upload different set of photos on Instagram. 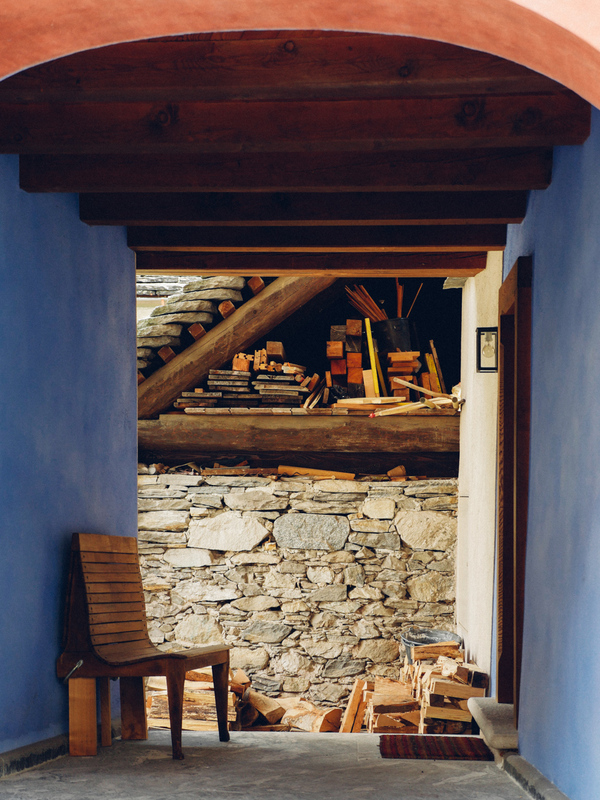 Entryway of a house in Broglio. Stone huts are scattered around the hiking trail. Neighbouring stone village called Menzonio. Pathway between houses along the hiking trail. The evident of the past is still visible. The water level was low and the temperature was freezing. Villages like this is a common sight. Rumors has it there is a lake behind the fallen stone, which is inaccessible. The lights in the area is just heavenly! It was my first fireplace experience. Flügenspitz Süd, Amden	Day 2: Maggiatal / Valle Maggia – Ticino, Switzerland.